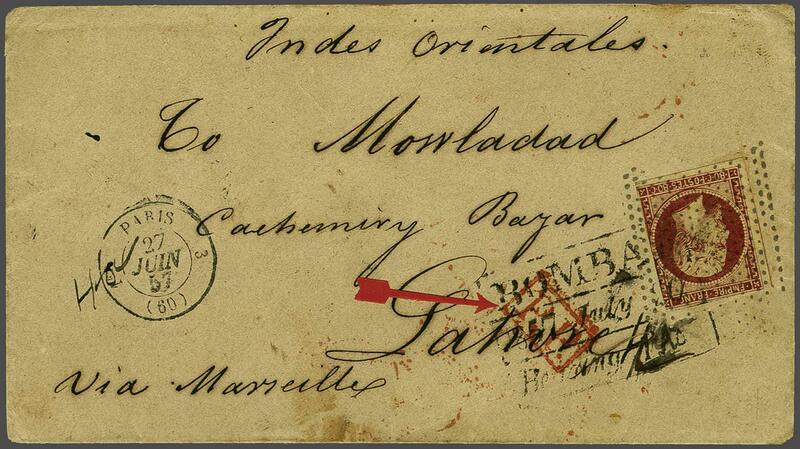 Ingoing Mail 1852/54: France 80 c. deep carmine (Yvert 17), used example with touched to large margins on three sides, tied to 1857 cover from Paris to Lahore, India (now Pakistan) tied by lozenge of dots with despatch cds at left (June 27) with framed P.P. alongside in red. Further tied in transit by framed 'BOMBAY / Bearing' handstamp in black (July 20) with '4 annas' charge. 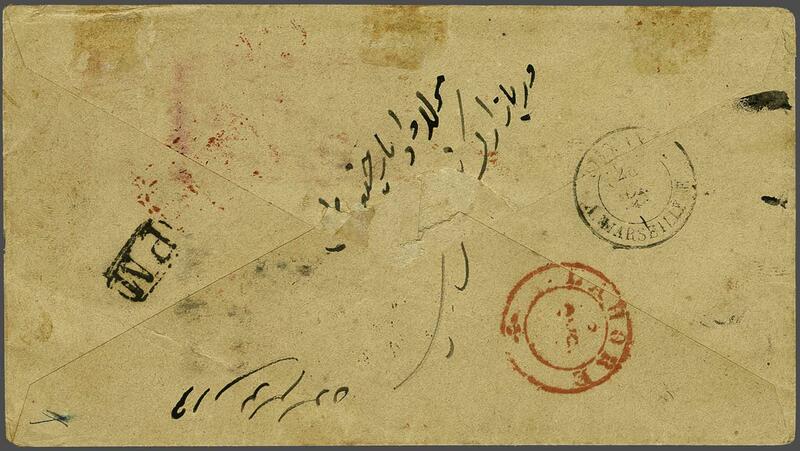 Reverse with Lahore cds of receipt in red (Aug 5).